Anna H. Hinshaw1,2,3,4,5 [Anna W. Hinshaw6, Anne Hinshaw7]. 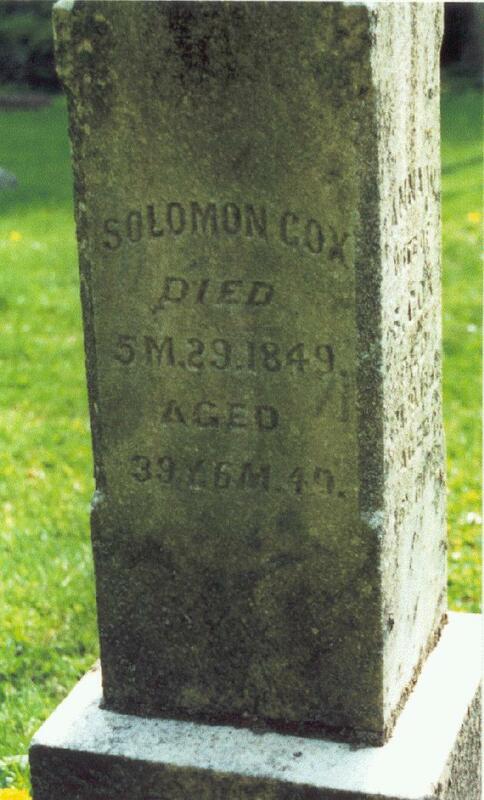 Susan Cox, born Apr 26 1842; died 1855, buried Forks of the Creek Cemetery, Howard County, Indiana. Anna Cox, age 39, born in North Carolina; $400 real estate. Milton Cox, age 16, born in Indiana; blacksmith. Cyrus Cox, age 14, born in Indiana. 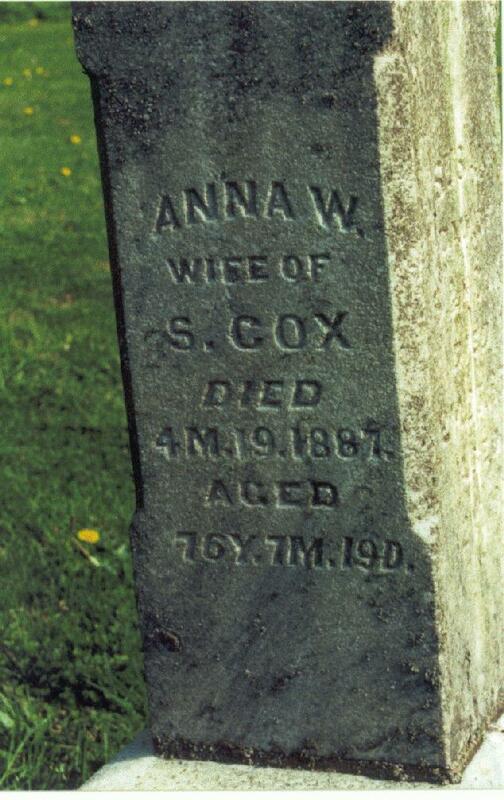 Anna Cox, age 12, born in Indiana. Mariah [sic] Cox, age 10, born in Indiana. Susen [sic] Cox, age 8, born in Indiana. Nancy Cox, age 4, born in Indiana. Anna Cox, age 49, born in North Carolina; $1500 real estate; $200 personal property. Cyrus Cox, age 23; farmer; attended school. Rachel Cox, age 21, born in Tennessee. Anna H. Hinshaw died Apr 17 188711,12,14 [Apr 19 18876]; age 76Y 7M 19D11,12,14. Posting by John Lambert () at http://www.genforum.com/hinshaw/messages/6.html. Contribution from Becky (Helms) Bailey (). Index to Marriage Records, Howard County, Indiana, 1844-1920. Photo courtesy of Becky (Helms) Bailey ().